Sheps have just let the Nelson on a 5 year lease. The new tenants got the keys last Saturday and it's due to re-open in 3 weeks. They must be mad, who would visit a pub where you have to walk sideways to get in the door? I cannot see it possible that years of neglect can make the interior habitable in 3 weeks. Le Fleurs aka Sir John Falstaff open for business today. Surprise surprise, that leaves two high overhead pubs close to each other whilst micropubs are doing well all over Dover. Some time back they were advertising for a Nepalese Chef, I wonder if they are still planning to do meals. I hope they can make it work, I had many happy evenings in there, so I am reliably informed! I thought this was privately owned, can't imagine the current B & B's are happy at this. Heard rumours that the Working mans club in London road is shutting soon. Not sure they are mad Howard, this could be a money spinner when the shopping mall there is fully open! The working mans club is closing down Andy but there are plans to restart a branch of the British Legion, I don't know if they will use the same premises. Welcome to the forum Lewis, it is likely to be 2 years before the mall opens, I find it difficult to believe that people will use the pub in any great numbers with all the noise and dust around. If they had bought the freehold I could see the thinking - take losses knowing that the property value would rise dramatically when the DTIZ is complete. howard,british legion is at dover rugby club. the working mans club is shutting but reopening again.acording to rumor on facebook. Not sure I would describe it as a mall. This is what a mall looks like. Please Mister, can I have one like yours? Our first meeting in at the Rugby club where we will be asking for committee members please come along and join up you do not have to have been in a service it is open to all.We already have about 30+members so once the committee is up and running we will try and get a new flag it is going to be called the White Cliffs.We already have the backing of the D.T.C.. Nothing local, but Wetherspoons are selling off some pubs! The Nelson reopened on Friday night with much noise and carousing. The recently closed all-day-breakfast Corner Cafe in the High Street, near the Tower Hamlets junction, is lined up to become a fully licensed bar specialising in cider. 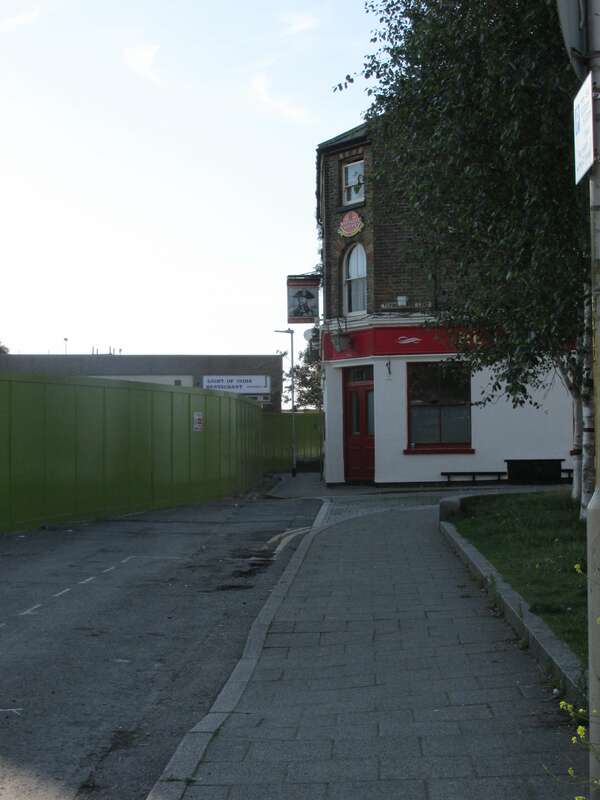 Miss Kathryn Tatham of Camden Crescent, Dover, is applying for a change of use of 107 High Street to The Thirsty Scarecrow, the name of her company. If the project goes ahead, Miss Tatham intends to set up a hair dressing salon in a room at the back of the cider house. We know Katie and her partner Kieron well. They have our full support. Going off at a slight tangent the new enterprise replaces a cafe which we have no shortage of in town. Aminas closed but later reopened as Brunch and I think the Central Cafe under different names is the only outright failure that I can think of. The latest one opposite the police station has been going great guns from day 1 and they have longer opening hours than the others. People keep saying on social media that we don't need any more eating and drinking places in Dover but the fact is very few fail. Went past the old central cafe today and it filled wall to ceiling with what looked like junk basically. One of the windows was smashed and there was a sign saying that it would open as a charity shop. Up and running as a pub again with a Karaoke evening but windows and doors would have to be kept closed during the day time.